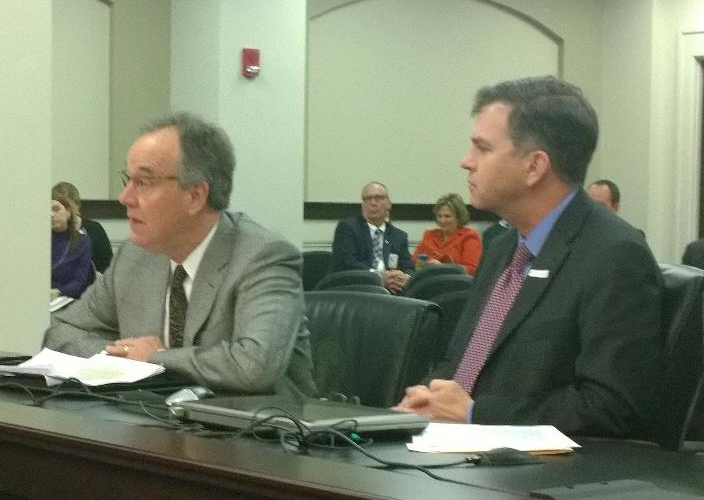 Kentucky Chamber of Commerce President & CEO Dave Adkisson joined officials from the Kentucky Cabinet for Economic Development today at the Interim Committee on Economic Development and Tourism to show support for modernizing Kentucky’s outdated telecommunications laws. The Chamber has supported legislative efforts to modernize these laws for several years running and commends the Cabinet for Economic Development for coming to the table to show their support for this critical effort. In a 21st century global economy, development of our telecommunications infrastructure is as essential as roads, bridges and rail were in the last century. To support competitive widespread access to wireless and broadband services, Kentucky needs to update its laws and regulations to reflect the demands of our communications-based economy. Neighboring states like Indiana and Tennessee, in addition to most states across the southeast, have already taken these steps. Kentucky should modernize its telecommunications laws and eliminate unnecessary and outdated retail-based regulatory burdens that serve only to stifle investment in the technology infrastructure upon which the jobs of the future will depend.